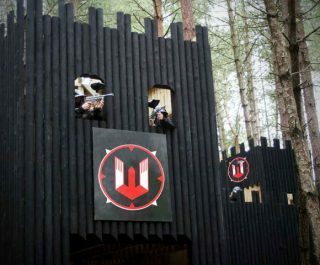 Located off Junction 8/9 of the M4, just west of London, this paintball centre is set within 100 acres of beautiful woodlands in the heart of Berkshire. An excellent option if you live in Farnborough. 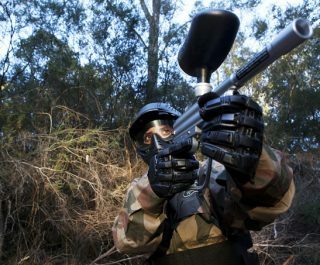 You will be pleased to hear that we spared no expense in ensuring that this centre is the stuff of paintball players dreams – with that 100 acres being put to great use in creating six amazing paintballing game zones. 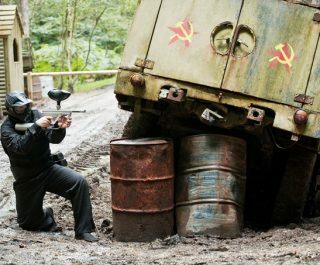 If you are a fan of James Bond movies then you will love the convoy of Soviet era military trucks, shipped direct from the set of the blockbuster spy movie Casino Royale. 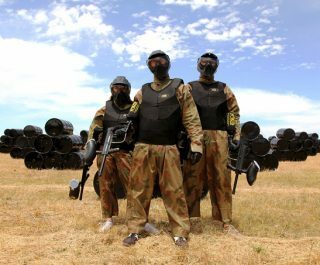 Most of our paintball centres feature similar Hollywood props that are sourced from big budget movie sets and ex-military suppliers. Often these props are incorporated into the game zones, or featured in basecamp for those all important group photos. 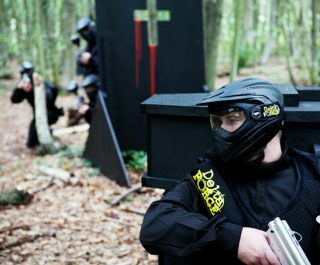 The flagship game zone at the Maidenhead Paintball Centre is Zombies’ Crypt, which has a three-storey Church complete with coffins, tomb stones, pews, an alter and even a Church bell. 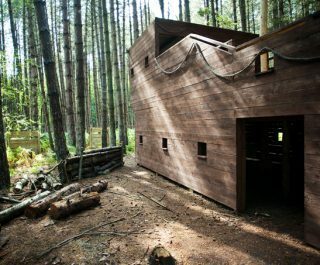 You can also find the largest constructed galleon in UK paintball at this centre, so come on down and check it out.